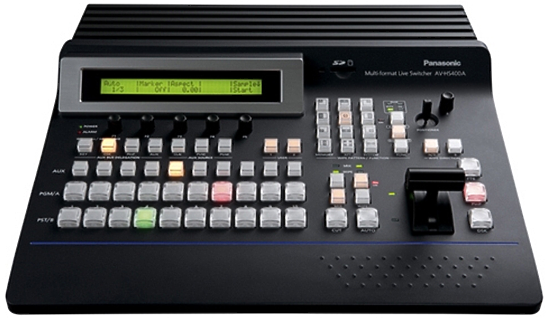 Take your live production beyond broadcast quality. ATEM Production Studio 4K has all the features you need for the most innovative live concerts, sporting events, theatre productions, conferences and more. When you're doing live events with super large high resolution screens, then simply switch your ATEM Production Studio 4K to Ultra HD for incredible quality. Many live events now use massive high resolution LED screens and projectors and now you can drive those screens in full resolution. The HS400A adds a host of new functionality, including enhanced MultiViewer tools such as labelling, border control and preview tally. The HS400A also incorporates additional advanced key effects such as flying key, 3D key effects, and a full key for a second moveable PIP. It also offers upgraded graphics functions including file import via Ethernet, alpha channel support and more. 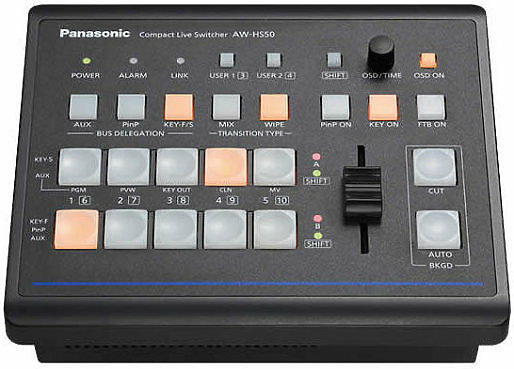 The AW-HS50 is a sub-compact, cost-effective half-rack width HD/SD live switcher offering four HD/SD-SDI and one DVI-D inputs as standard, as well as a built-in Multi-viewer. Copyright © 2019 by Procam All Rights Reserved.